I finally got a chance to brew on Labor Day weekend. I unfortunately had not spend to much time into recipe formulation so I decided to use what I had on hand to make a Single Malt and Single Hop (SMASH) beer. I used the base malt I currently have on hand - Munton's Maris otter. I chose to use Simcoe for the hop as I was a big fan of Uinta's wyld, which is majority Simcoe. Brew day was fairly smooth other than having to run back and forth from the back porch into the basement for various brew day gear. The aroma has a moderately high and complex citrus which is a combination of sweet orange and grapefruit with a hint of a more sour citrus fruit - think lemon/lime. There is a low bready quality from the malt, but the hops are the star. Light gold in color and clear, just shy of brilliant, with a fairly thick white head that fades fairly quickly to a coating on top. The flavor contains a moderate bready malt character and moderately high grapefruit/lime citrus hop character. The moderately high hop bitterness is a tad too much for the malt backbone which leads to a decidely balance bitter balance. The beer has a moderate carbonation and a medium light body. The beer finishes slightly dry. Overall, it is a very drinkable beer and coming in at 4.8% is very sessionable. For hop heads this is a solid pale ale, but is definitely too bold for the BJCP determination of APA. 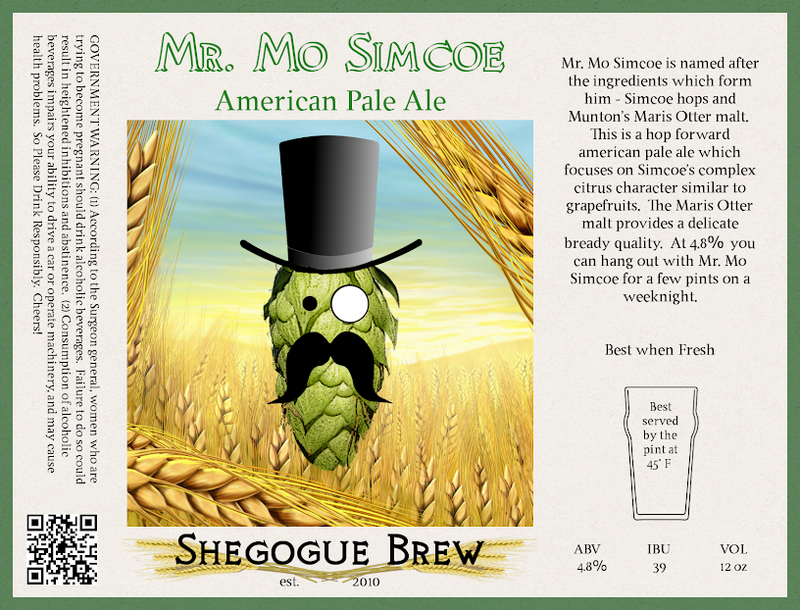 After doing my first SMaSH, I think simcoe is a great hop which can contribute a complex citrus character to beers, however, it needs the synergy of other hops to produce a great beer. I guess the sour citrus fruit I perceive is what others attribute the "catty" quality of simcoe and although I kind of like it, I can see how it would deter others. The maris otter malt does a good job against the highly hopped competition, and I think a standard american 2-row would have made this beer even more of a hop star. It provides a depth and I believe mouthfeel the 2-row just cant compete with.